A total skin care cold cream for all skin types, Saffron Cold Cream moisturizes, nourishes and protects your skin especially during winters. Effective against sun damage, it maintains moisture balance and keeps skin soft, glowing and healthy. 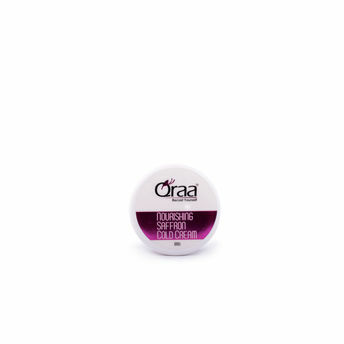 This incredible cream is a special blend of precious and rare ingredients to help illuminate the skin colour and promote cell growth. This ayurveda based formula is blended with the finest of Saffron from Kashmir to brighten your skin, reduce dark circles and pigmentation.